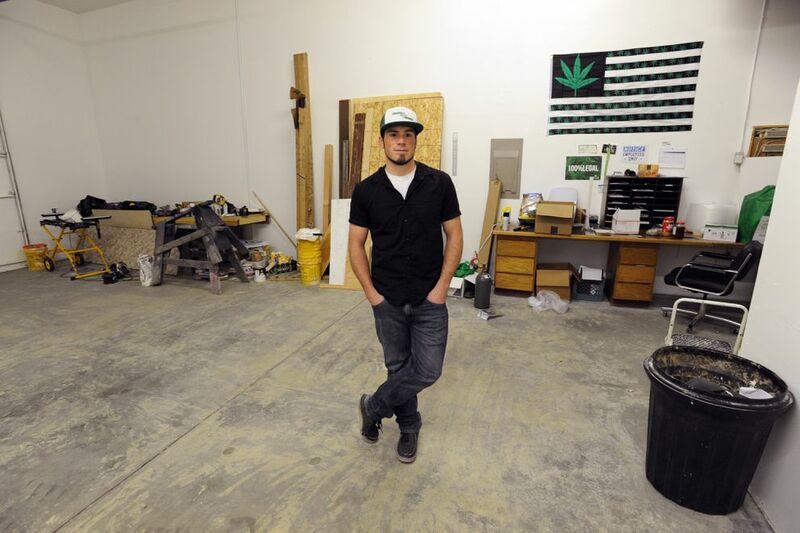 WASILLA — Marijuana businesses in Mat-Su spent the last five months in limbo. Now they're scrambling to make up for lost time. The Matanuska-Susitna Borough enacted a licensing moratorium in May, pending a local vote whether to ban commercial marijuana operations altogether outside Palmer, Wasilla and Houston. The moratorium froze the state licensing process for grow operations here in the state's reputed cultivation capital, as well as licensing for retailers and one of the state's few testing labs. The ban went down to defeat in local elections Tuesday. Voters backed a 5 percent marijuana tax for outlying areas. The moratorium expires Oct. 19. Limbo over, long-stalled cannabis entrepreneurs are spending frantic days building cultivation spaces, reconnecting with investors and dusting off state license applications. Talkeetna Herb Co. stopped construction on a cultivation building when the moratorium hit. Now owner Krystal Dietrich is hustling to finish the interior and get the fire marshal's approval. "We're in a rush actually," said Dietrich, whose grow operation sits on a 40-acre horse farm guarded by Rottweilers she breeds. "We are in rush to get back to work." The Mat-Su is again open for cannabusiness, but many entrepreneurs here face a potentially long wait before the state Marijuana Control Board can get to their licensing applications. The short-staffed state Alcohol and Marijuana Control Office is working through a huge stack of various applications, according to office director Cynthia Franklin. The marijuana board's next meeting is at the end of this month, but it's unlikely most Mat-Su businesses will make the agenda deadline of Oct. 10; the next board meeting is in December. Franklin personally sent Mat-Su marijuana businesses a note promising they will "go to the top of the under-review stack by payment date," she said. "The one that paid earliest will go to the top of the stack. And that's a stack that will not make it onto this meeting agenda." It's likely, however, that many Mat-Su applicants will be at the top of the stack for the December meeting because they paid their application fees before others getting reviewed now, Franklin said. "The assumption is there were a lot of Mat-Su applications in our system, they paid their fees and were waiting for their application to be reviewed," she said. "The only reason it didn't get reviewed was because the Mat-Su Borough had the moratorium. Those go to the top of the line." Moratorium or no, some cannabis entrepreneurs in the Valley gambled on the commercial ban vote and sank money and time into getting ready just in case. They paid months of rent to put a hold on business spaces that drummed up little if any revenue, lost time at work or quit altogether — and watched the competition in other places get underway. "We don't know how many people we've lost to Anchorage that we could be testing for," said Dr. Bruck Clift, a family practice physician who co-owns Alaskan Herbal Analysis Labs with her partner, Nick Braman. The strip-mall operation just outside Wasilla is one of just five marijuana testing businesses in the state licensing process and the only one in the Valley. Clift and Braman expect plenty of clients given the number of Mat-Su cultivators who all need to test product somewhere. The state is requiring commercially grown marijuana to be tested for cannabinoids and terpenes, but also for molds and bacteria, among other things. Alaskan Herbal Analysis also hopes to help expand the state's herbal medicine and flower industry, using marijuana as the revenue-producer. Braman tosses out a string of Alaska-grown plants: chaga, devil's club, peonies, birch water, rhodiola. Braman, a biochemist, spent the moratorium months tinkering with DNA extraction and genomics. 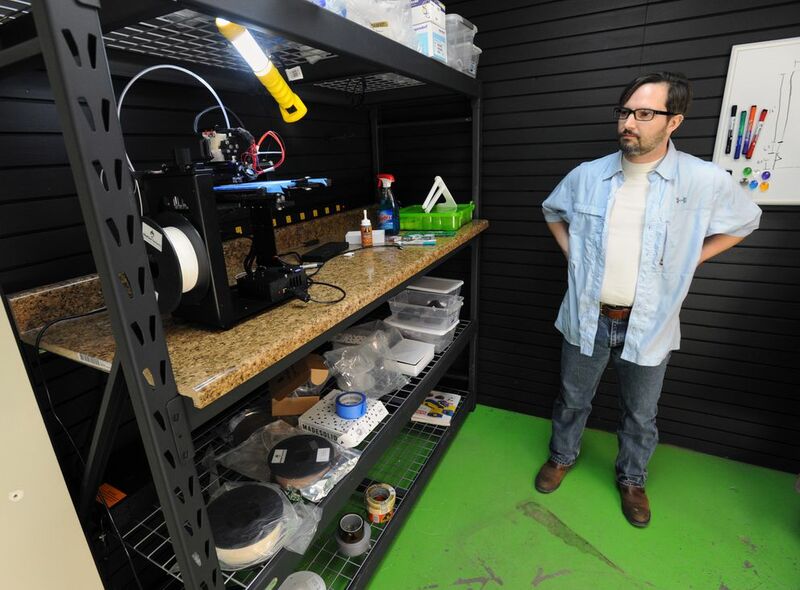 He spent this week calling potential investors, reaching out to equipment suppliers and crafting test-tube holders with a 3-D printer he made himself. The couple has been paying rent on their building for months without generating income. They have a 4-month-old baby, along with two older children. 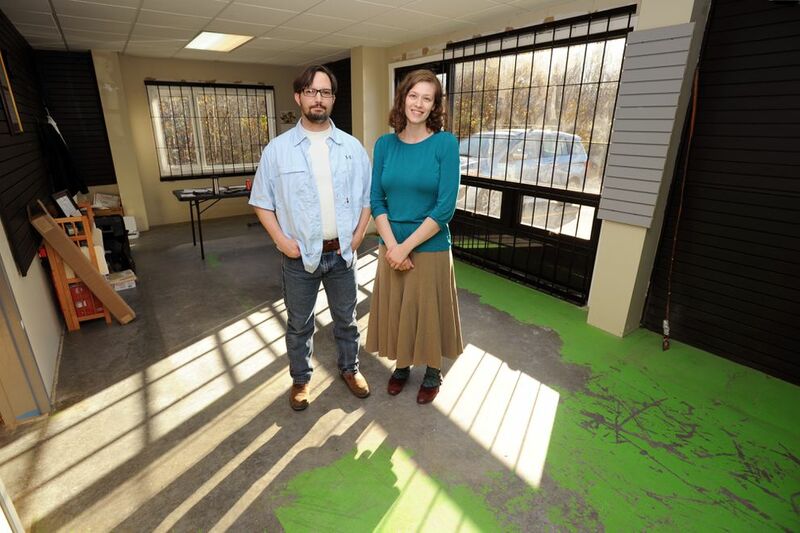 Braman and Clift had hoped to open in August. Now they're thinking January. The monthslong delay was trying, but Braman sees a potential bright side: another testing facility — in Anchorage — gets to work out any bugs as the first lab working under the state's testing protocols. "The way the whole industry's unfolded, there's not a lot of licenses that have been granted already," he said. "It sets the Valley a little behind Anchorage but I think we're still competitive." 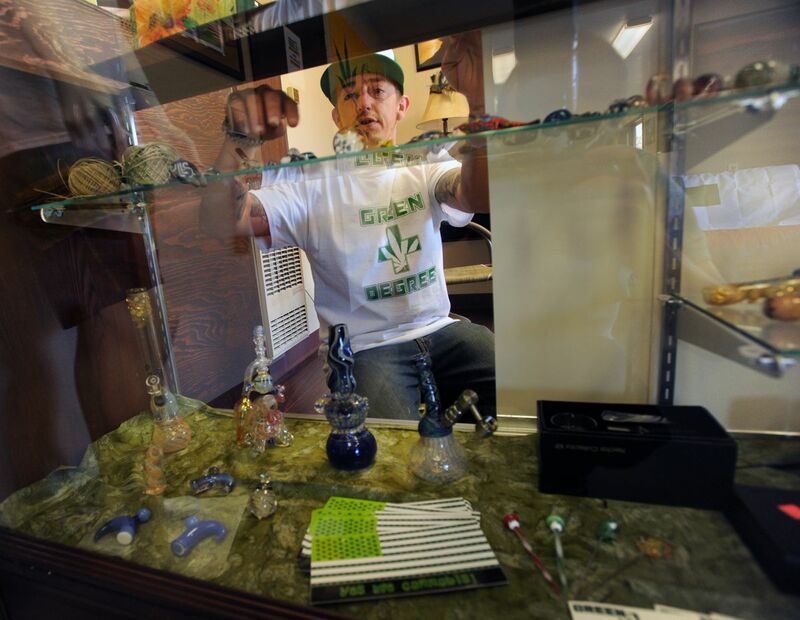 Anchorage marijuana businesses loom large on the Mat-Su horizon. Businesses here are all too aware their competition to the south is months ahead, as is the Kenai Peninsula. But running a cannabis business in Anchorage comes with challenges the Mat-Su doesn't have. Regulations and limited space can make for higher costs that drive up prices. 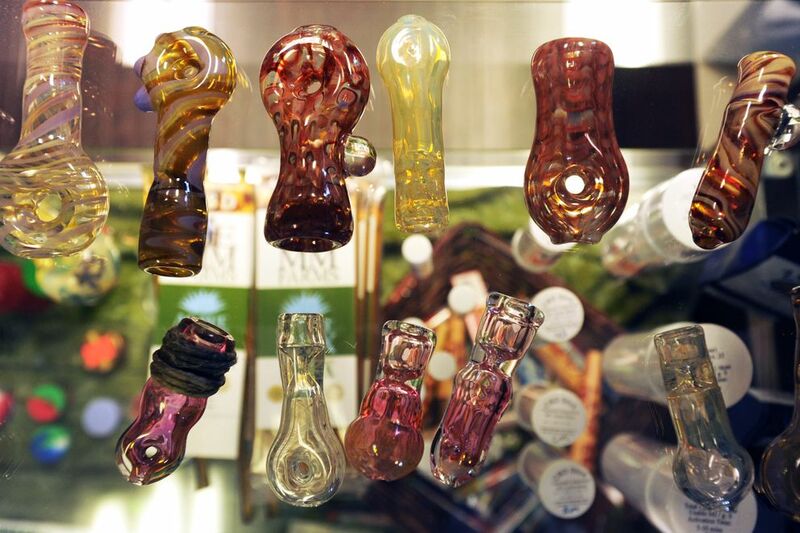 Mat-Su does have local land-use regulations that govern its nascent marijuana industry. Perhaps the most onerous are various setbacks from schools and churches but also residential property lines to keep large grows out of residential neighborhoods. Still, that pales in comparison to the bureaucracy in Alaska's largest city, one marijuana attorney contends. "The municipality of Anchorage has an incredible amount of costs associated with doing business here," said Jana Weltzin, an attorney who specializes in the marijuana industry through her practice, JDW LLC. Just getting through the land-use permitting process requires three public meetings, Weltzin said. Along with that lengthy process, that can take at least 75 days, there are associated fees. Then there are new Title 21 requirements including snow-removal space and parking requirements. Weltzin has eight to 12 clients in Anchorage as well as Mat-Su, Fairbanks and Sitka. 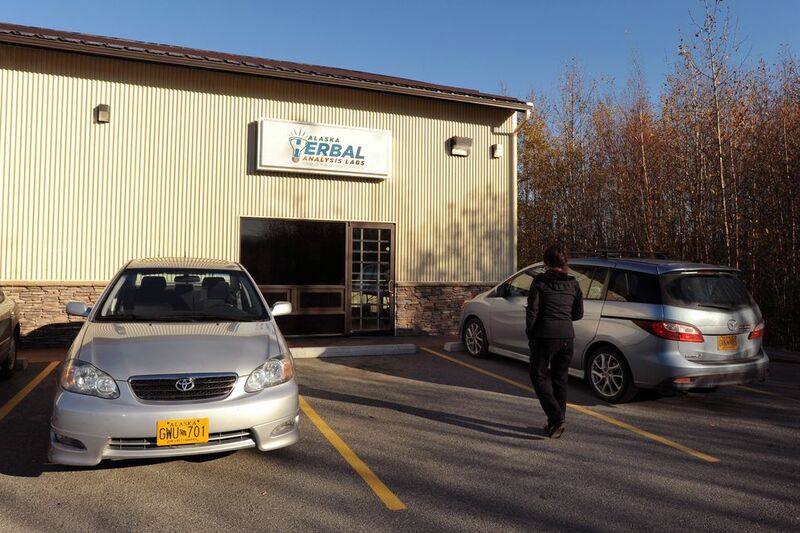 "My paralegal's doing a lot of research today on Mat-Su," she said last week, the day after the commercial ban went down to defeat in the Valley. Kerby Coman quit his Doyon Drilling job as a "pit watcher" on the North Slope in July to concentrate on his fledgling cultivation and retail business. It was a huge gamble given the upcoming ban vote. "I took out my retirement for this here," Coman said, standing in the future grow room at his Knik-Goose Bay Road business. ""I'm in it for everything." The 25-year-old spent the past few months opening a retail smoke shop in preparation for legal marijuana sales. He's paying $3,500 a month in lease payments. The shop turned into a public education tool, he said. People walked in with questions about where to buy marijuana, and Coman told them they needed to vote before they could buy. He shuttled people to a nearby polling place to vote early. Coman, working Thursday with employee Jesse DeMarco Mazzella, started their future "mother" plant on Oct. 4 — the day of the election. Now they're building nine grow-boxes for a limited cultivation facility producing medical and recreational marijuana strains. Coman hopes to open the retail side by January. "I'm a firm believer in if your dreams don't scare you, you've got to find bigger dreams," he said.